You’ll find convenience and comfortability go hand-in-hand in the Gulf Stream Streamlite travel trailer. Each of the fifteen floorplan options come in an ultra lightweight package without sacrificing the quality and comfort you want from your RV. 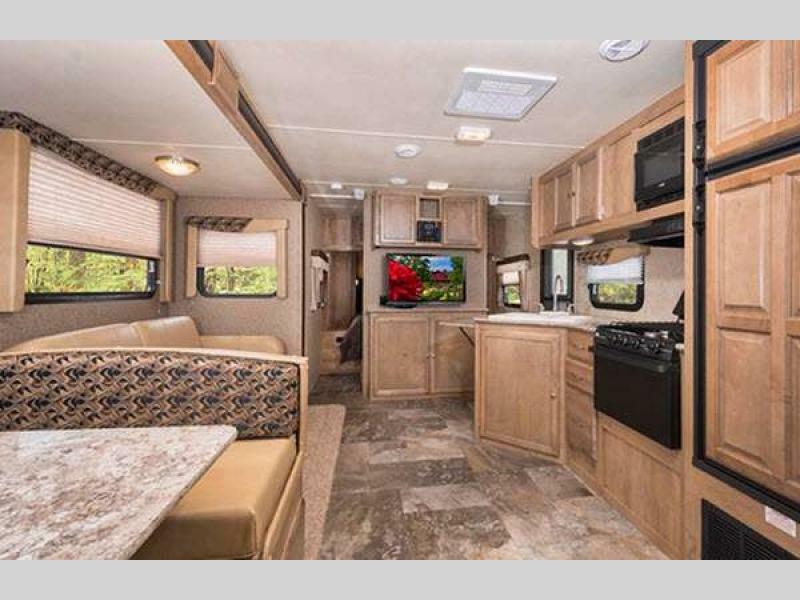 Let’s take a look inside to see what it will offer for your next RVing trip. Check out the Gulf Stream Streamlite Travel Trailer! Depending on the Streamlite model you want, there will options that come with anywhere from zero to two slides with some even having enough room to sleep as many as ten people. These designs are large and spacious to make sure you have the space you need for everyone in your party. Find a spacious interior and high end features! 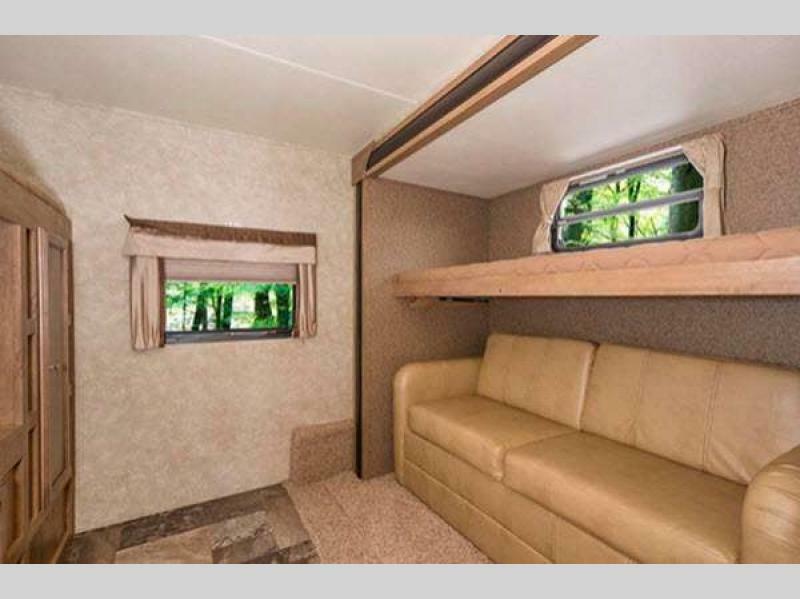 Speaking of a large interior, this Gulf Stream camper will have space for everything you need. From the fully stocked kitchen with double door fridge and three burner gas range and oven to the complete bathroom with foot flush toilet and large tub or Neo-Angle shower, every amenity for comfort while you travel will be included. With convertible furniture and bunkhouse options, you’ll have space for everyone. 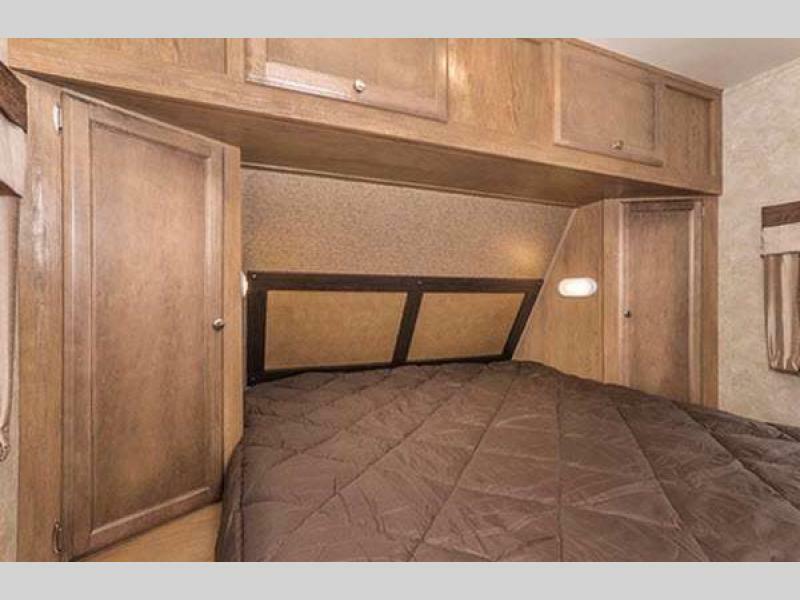 The models of this travel trailer that have extra places for people to sleep will come with plenty of convertible and stationary sleeping solutions. For example, the master bedroom will come with a queen sized, polyfoam mattress, and then throughout the interior, you will find options with bunkbeds, a Comfort Series Jack Knife sofa, or a convertible booth dinette. This way, you can bring everyone along for the trip! Get a good night’s rest anywhere you go in the amazing master bedroom. Last, but certainly not least, one function that many people love about the Gulf Stream Streamlite is that you can get all of these features while still being in an ultra lightweight design. The low tow weight of the camper makes it easier to tow with a smaller vehicle and will even be more economical by conserving gas milage. 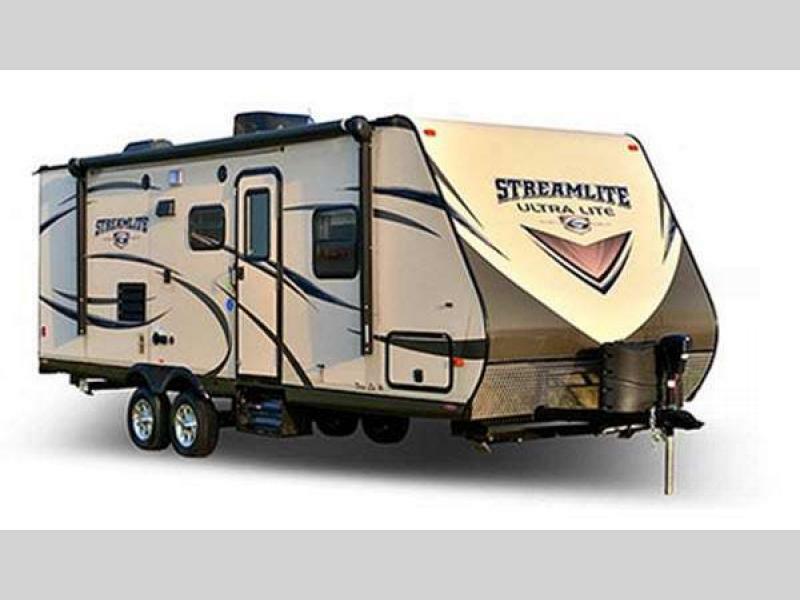 The comfort and convenience that comes with the Streamlite travel trailer by Gulf Stream cannot be beat! Contact us today to find out more, or just stop on by our location to take a look at one for yourself. While you are here, you can check out any of the other travel trailers, toy haulers, fifth wheels, and more that we offer to insure you go home with the right RV for you.